So here they are, the top 10 of the public vote of the MHN50. As you can see Soesoe Mustafa, Miss Indian Beauty of The Netherlands2015 has won this by far. The top 5 of the public vote will automatically be in the MHN50. The jury will decide the ranking of these 5. Soesoe participated in Miss India Holland 2007. 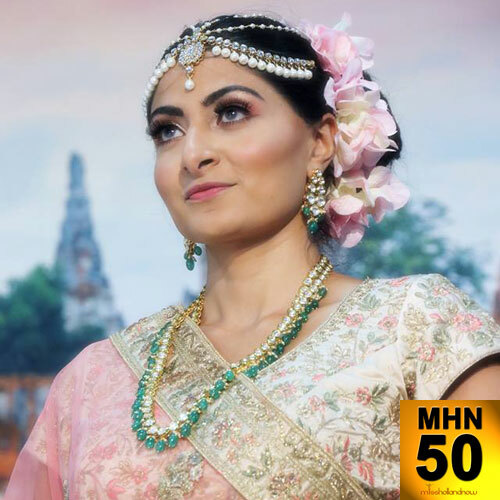 She was crowned Miss Indian Beauty the Netherlands 2015 and represented the Netherlands in Miss India Worldwide 2015. In both pageants she won the Miss Congeniality award. She is also a fashion designer.